I’m a Personal Trainer with a REPS Level 4 Strength and Conditioning Coach qualification. I have over 10 years experience in coaching and helping my clients better there lifestyles through periodised training and nutrition plans all geared towards there specific goals and needs. 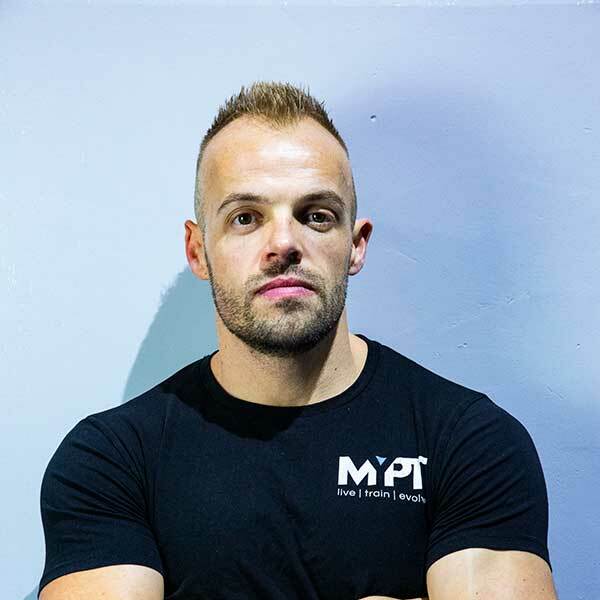 As one of the Studio Managers at MYPT I help coach and support all our members especially during their transformation challenges. My other qualifications include; Olympic Lifting, Kettlebells and Advanced Boxing. I live by the quote “If it’s doesn’t challenge you it won’t change you”.